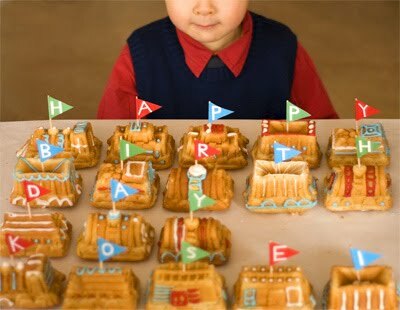 This clever little train cake inspired me to design an invitation for a train themed birthday party. In California there are a number of railroad museums, historic trains and even a place called Train Town in Sonoma, all of which would make a perfect setting for a train party. Take a tour, eat some cake... and give everyone a conductor’s hat to take home as a favor. This PDF includes (2) tea length invites with a blue and yellow background option, designed to fit in a standard business envelope. Just print on 8.5x11 card stock, trim around the grey border of the tickets and fill in the blanks with the party details. Enjoy! Wow, have just found your blog. You left a lovely comment on mine. So now you have a new follower. Thanks so much for dropping by Beach Vintage. These are so cool! I was looking for train invites a week ago and ended up just doing something on my computer. I am definitely going to hold onto this template for future use! Love these - they're adorable. I really like your train ticket themed invitations. I am not able to download the invitations through scrib. Could you send me the pdf?